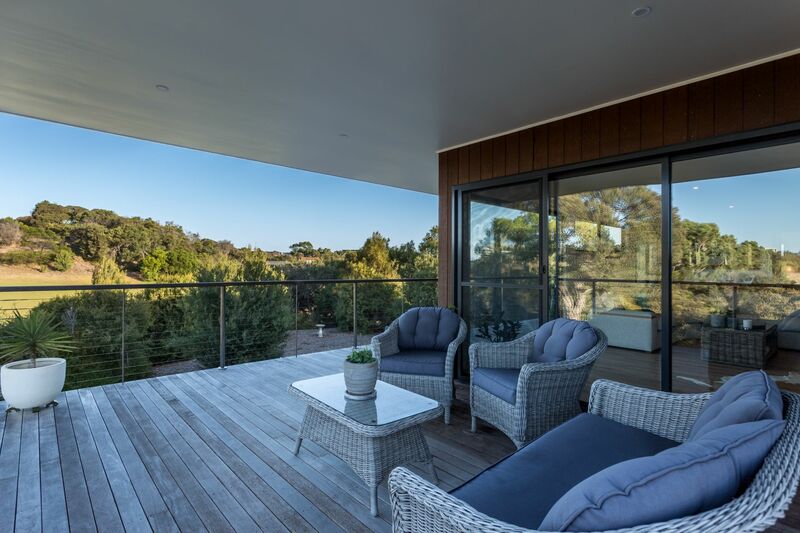 Nestled among the Moonah trees, the unspoilt native environment of this exceptional location offers the ultimate in luxury and tranquillity. 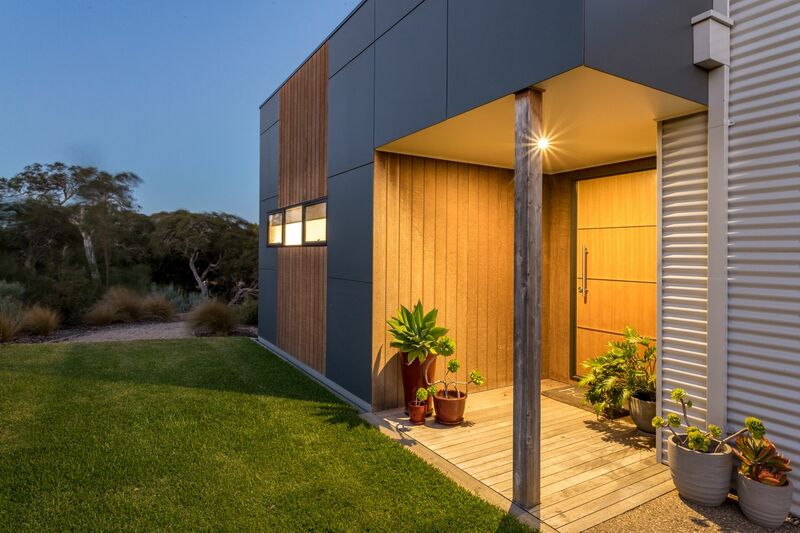 Impeccably designed to blend with the surroundings, and set on approx. 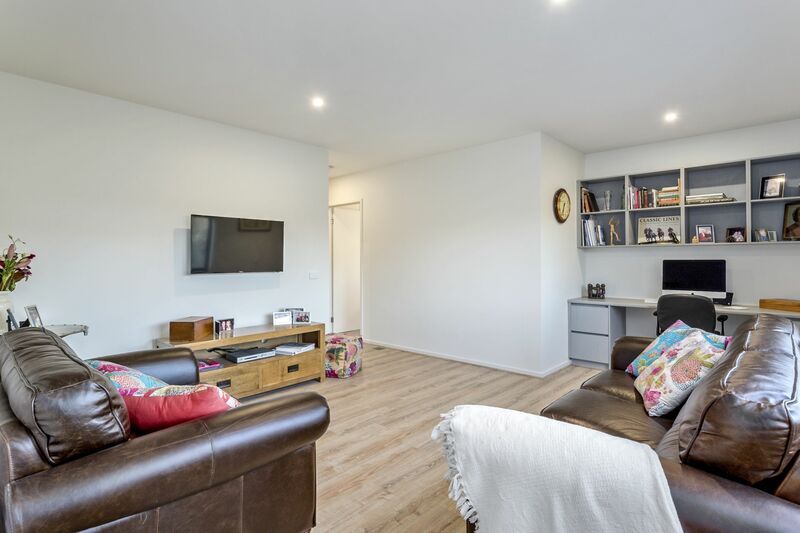 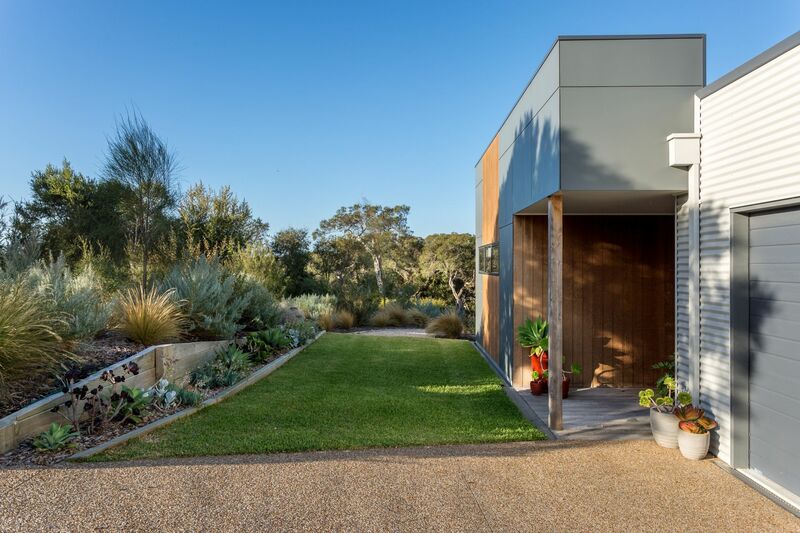 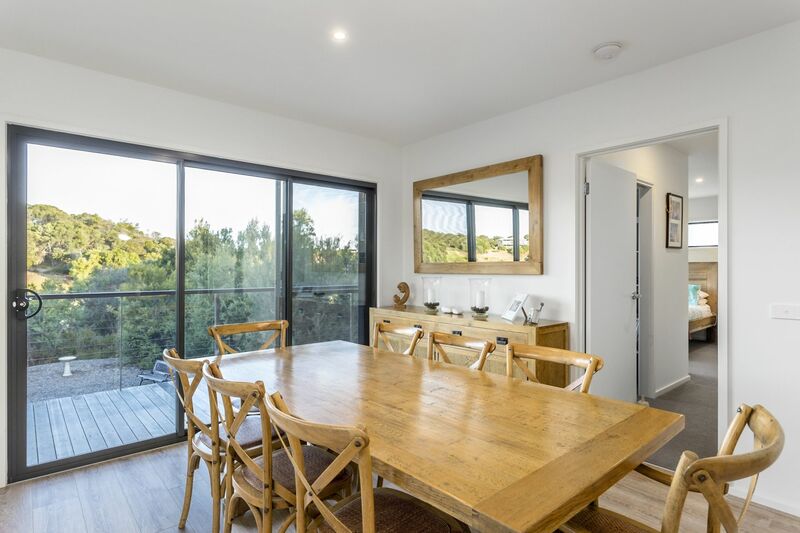 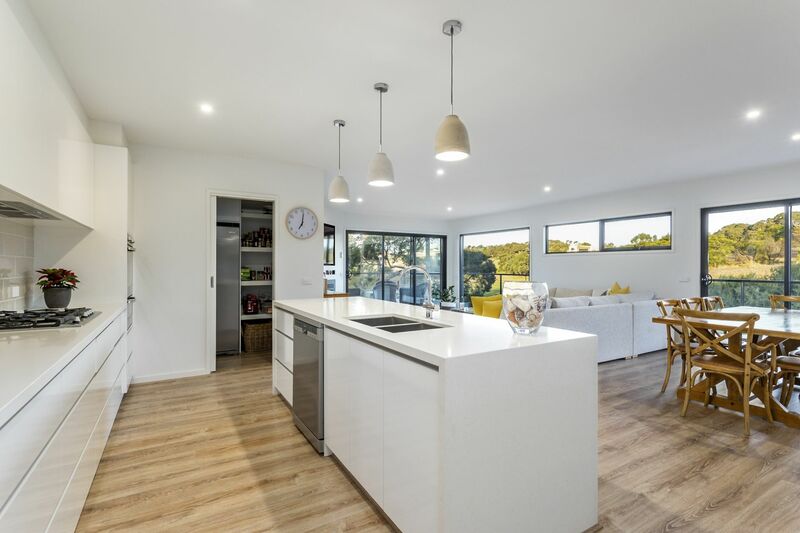 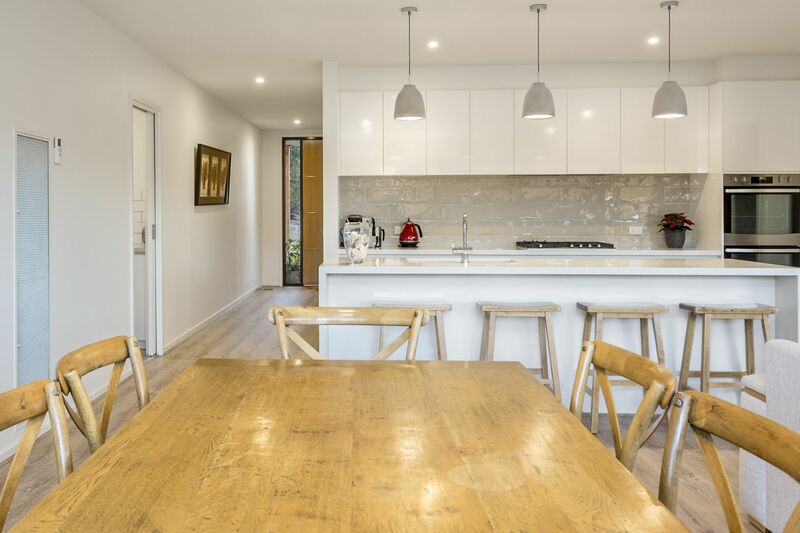 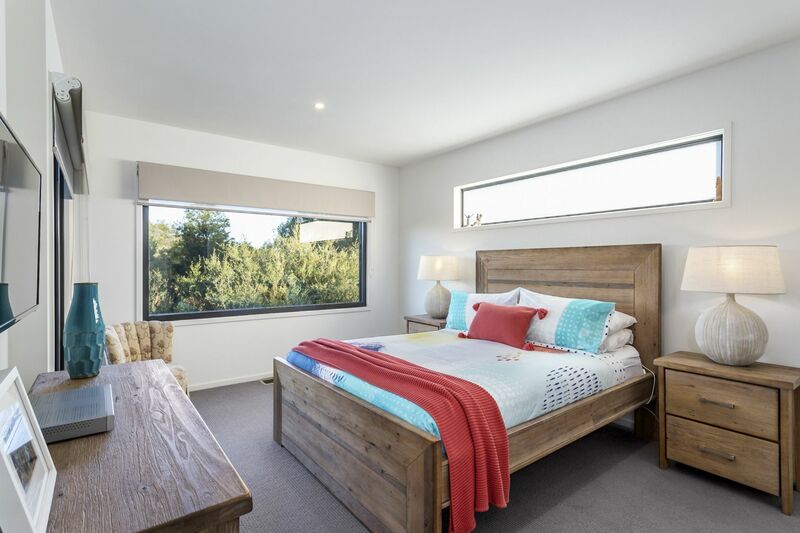 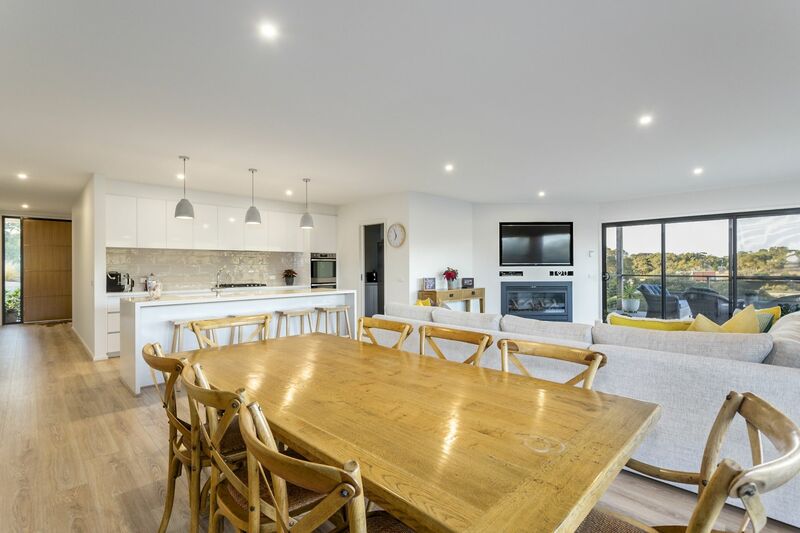 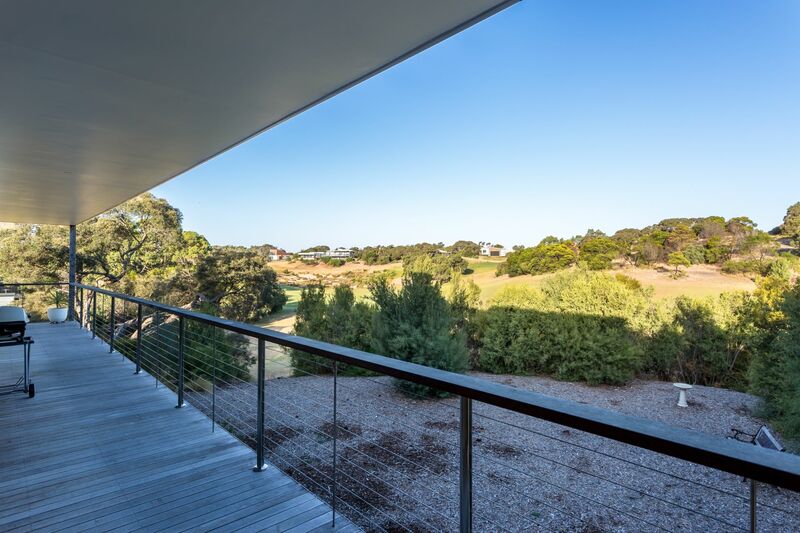 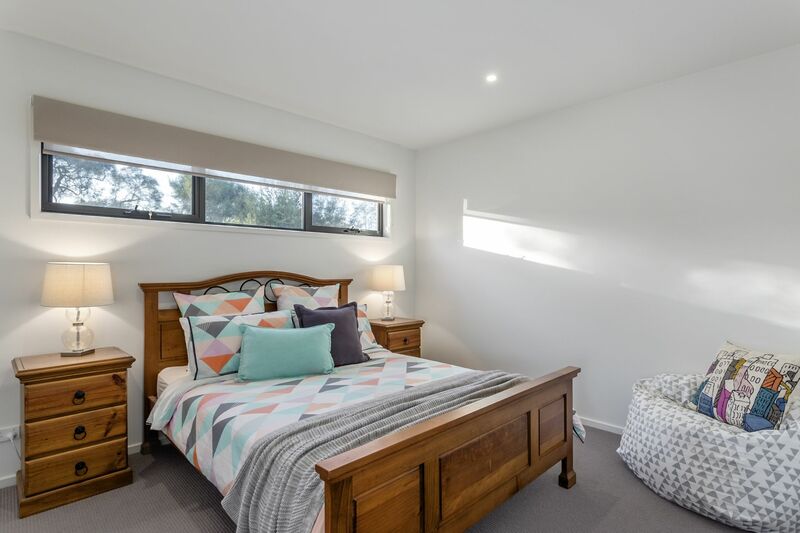 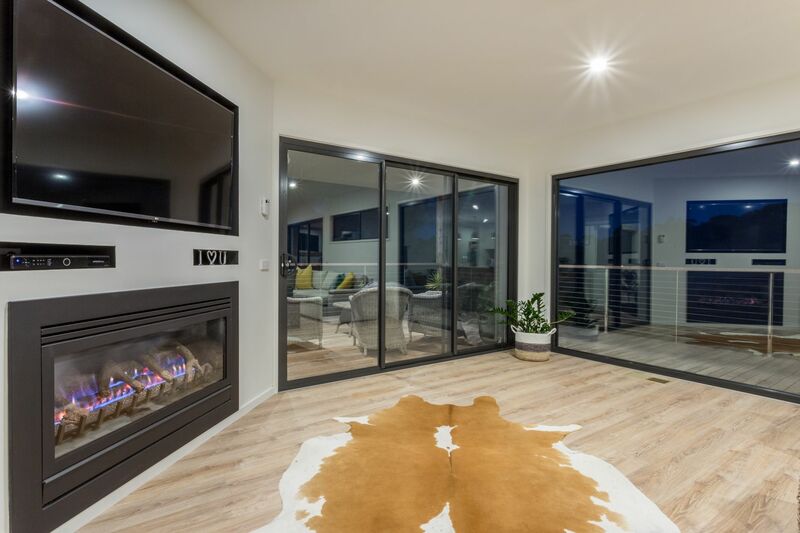 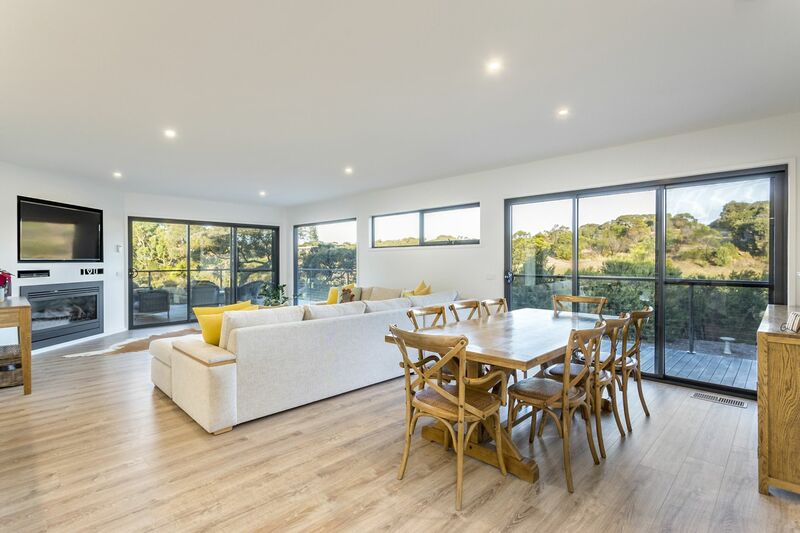 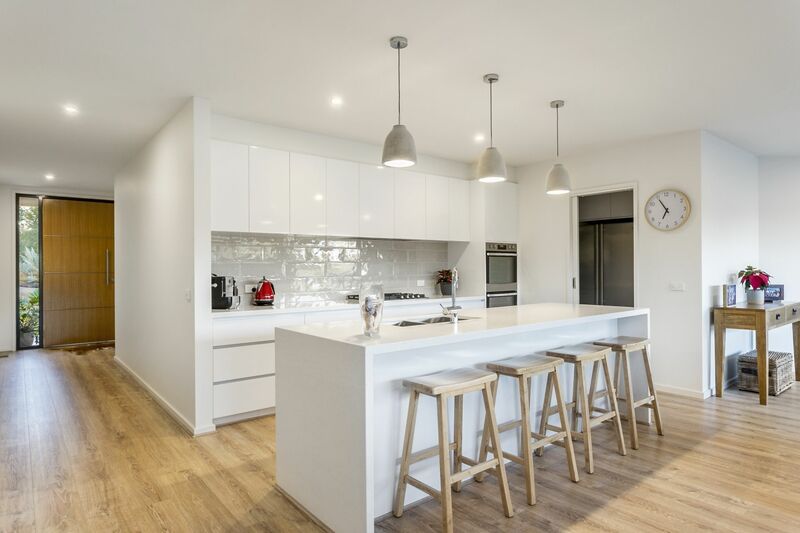 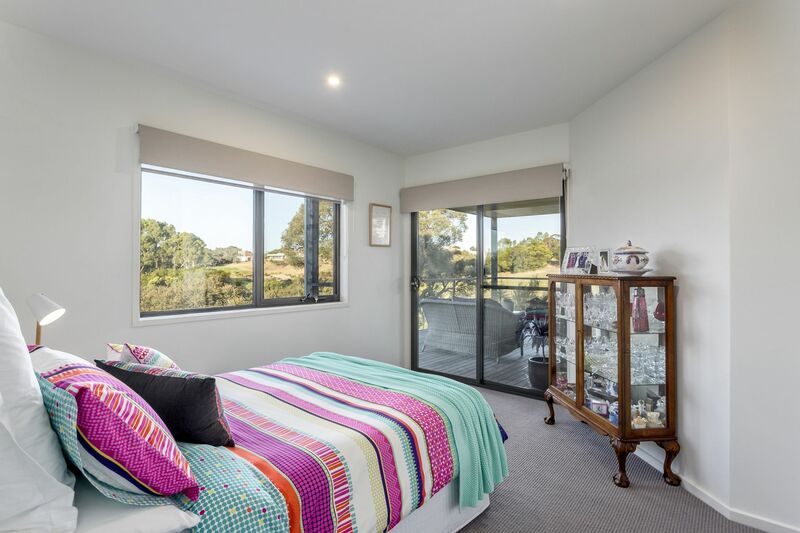 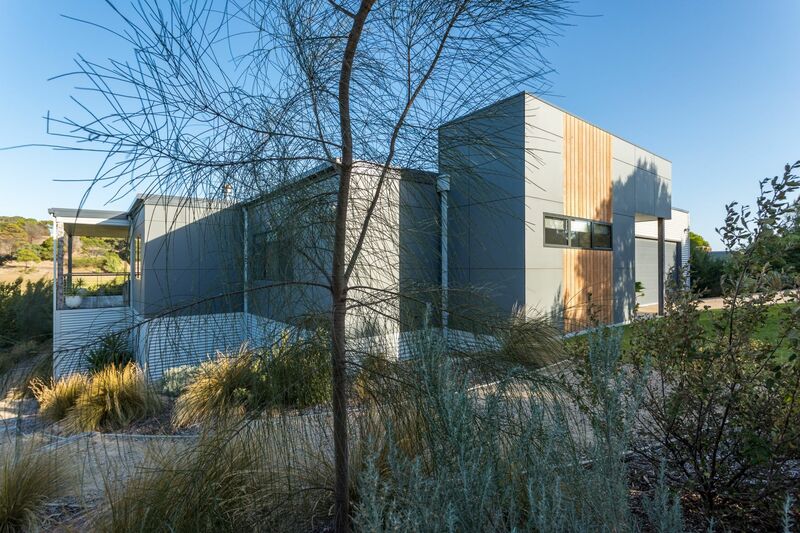 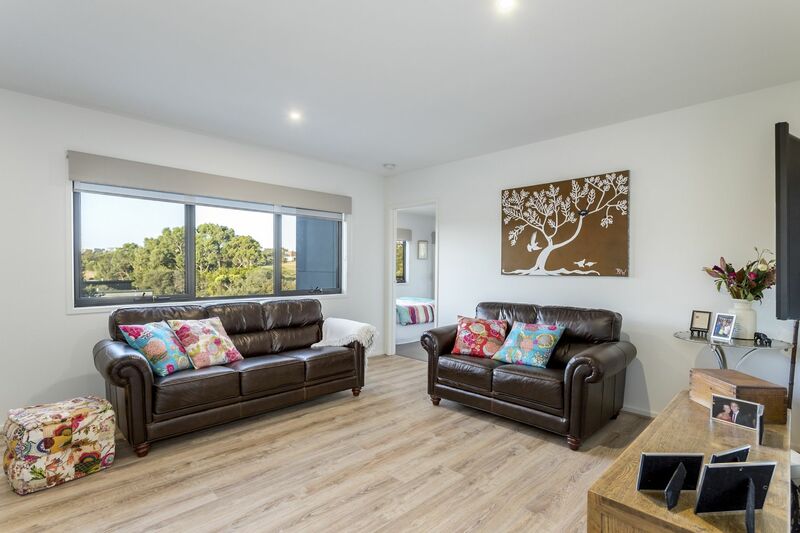 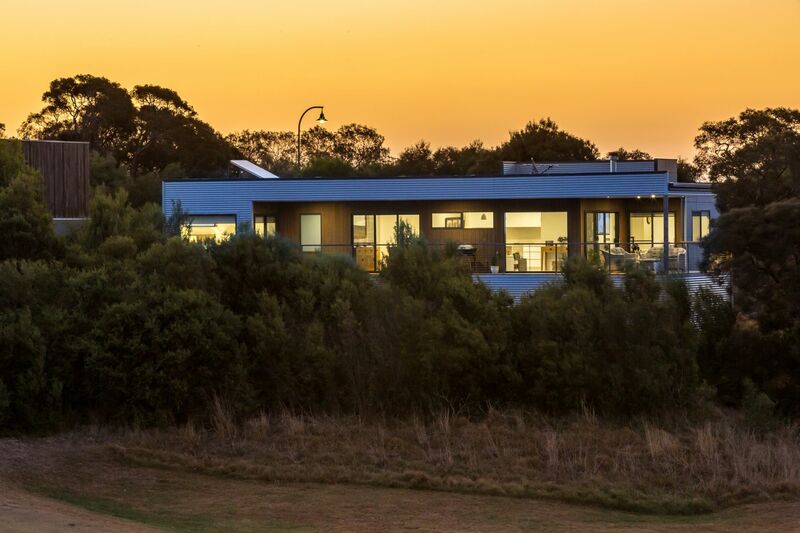 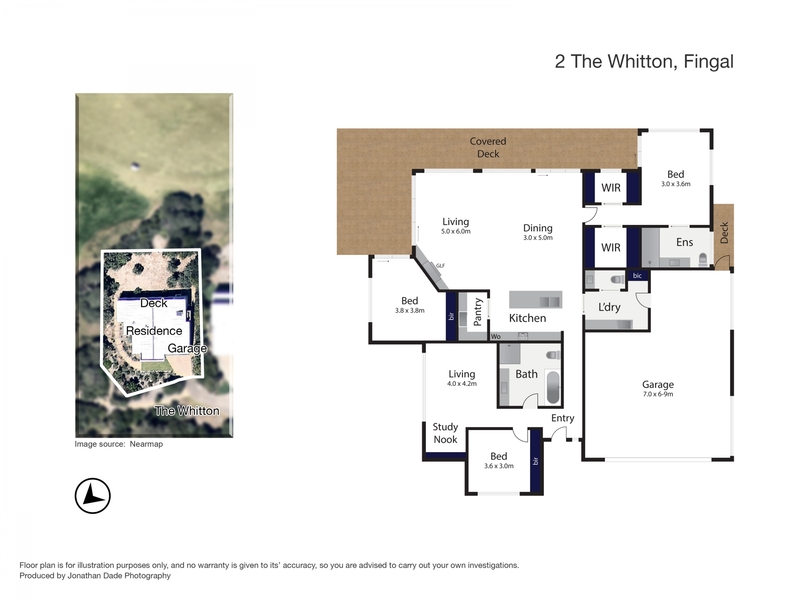 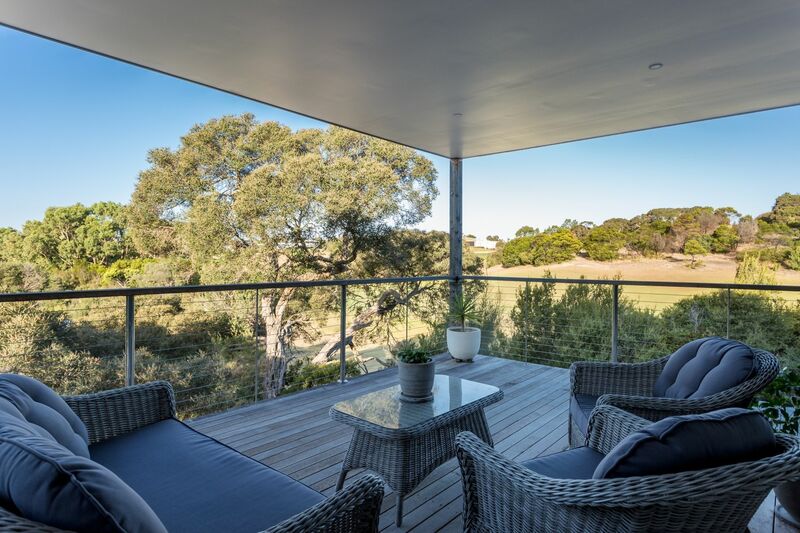 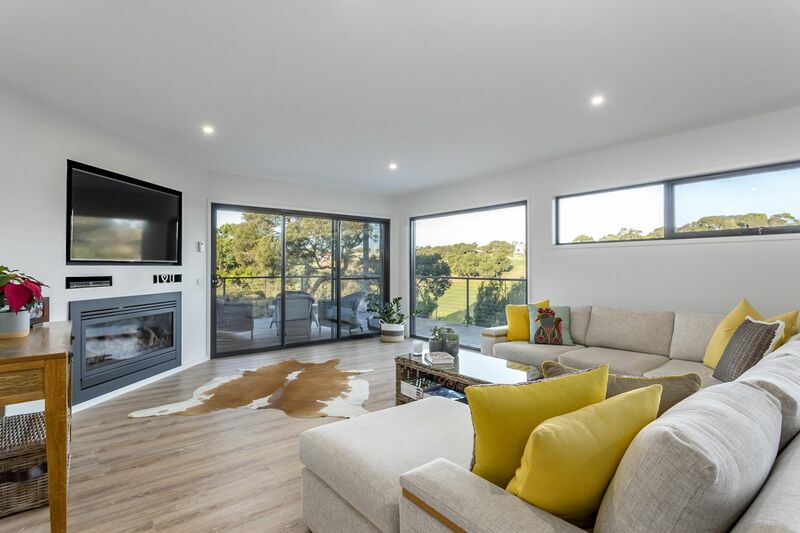 650sqm, the dwelling is nestled privately on the block and maximises its position adjacent the 17th hole, taking in each beautiful aspect of the surrounding landscape. 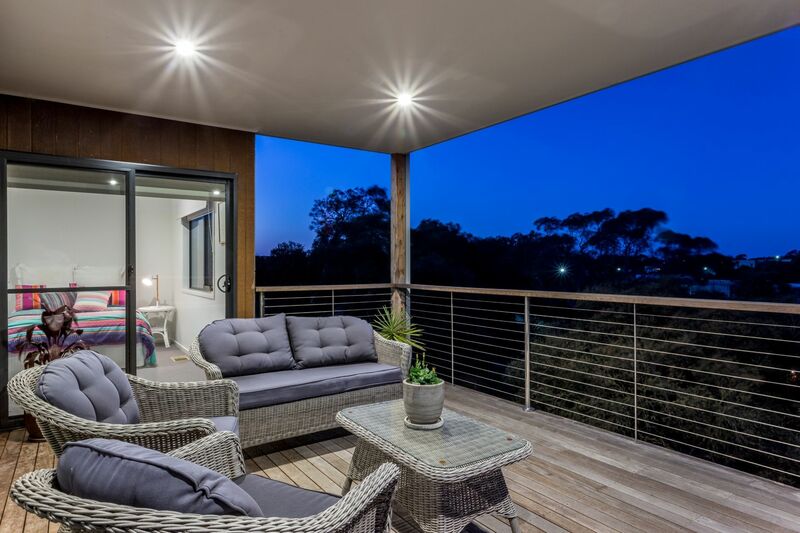 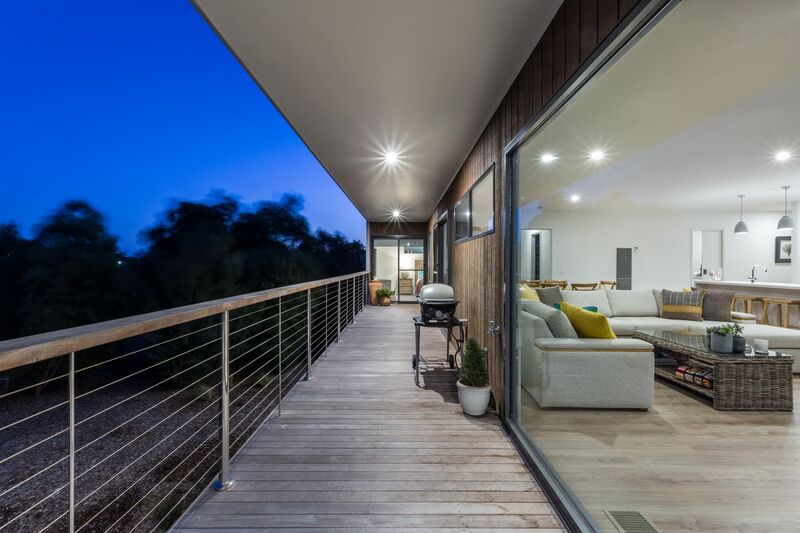 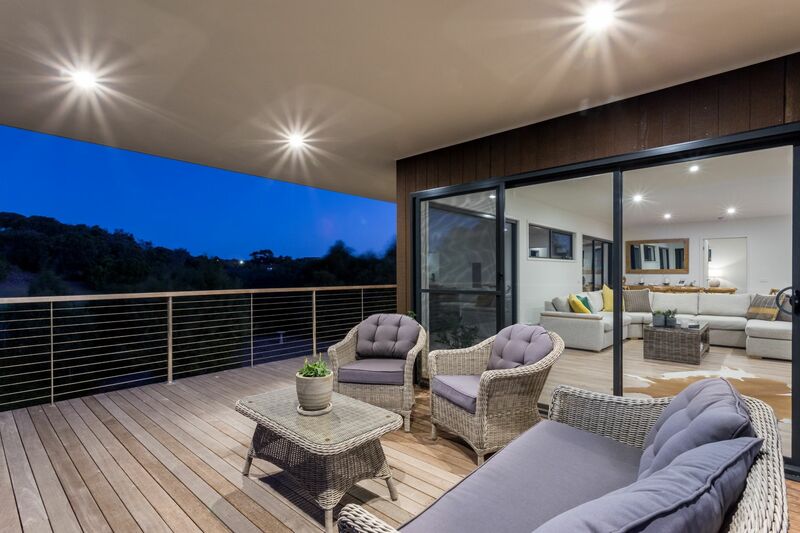 The superb use of timber on the exterior and the large outdoor deck adds to the unified feel of the property. 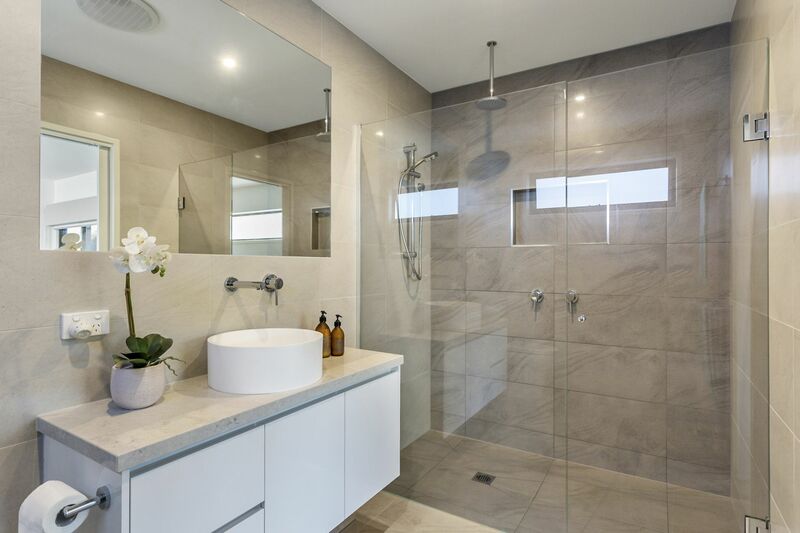 A newly built home, the interior’s neutral tones provide the perfect backdrop for your personal touches. 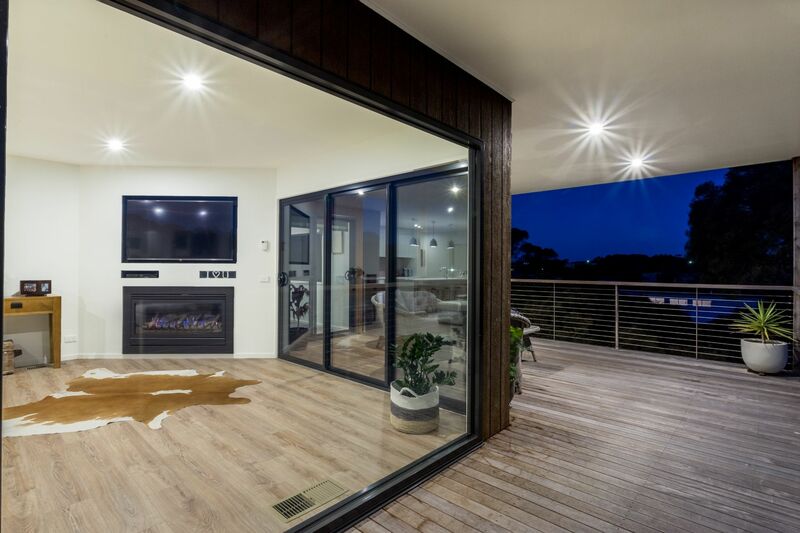 At this home, it’s all about the outlook and each room frames an incomparable view through numerous large windows and glass sliding doors. 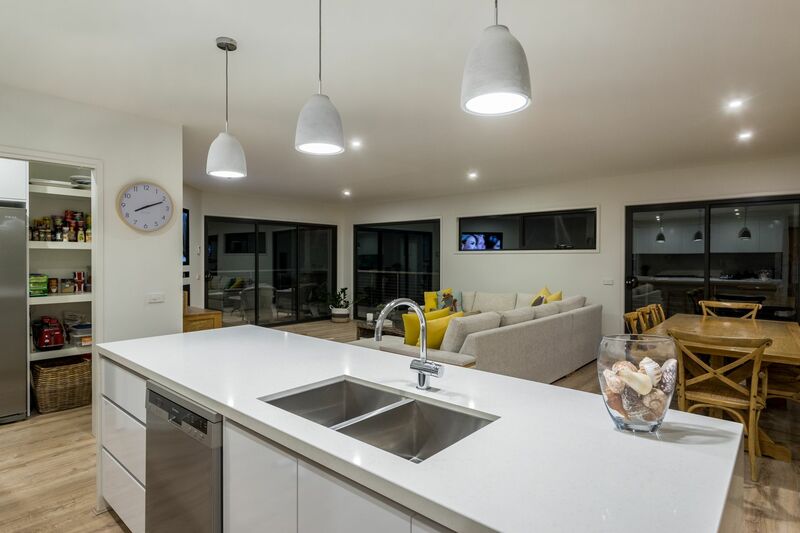 The open kitchen, living and dining zone features a stunning built-in gas log fireplace, timber flooring and functional island bench plus butler’s pantry. 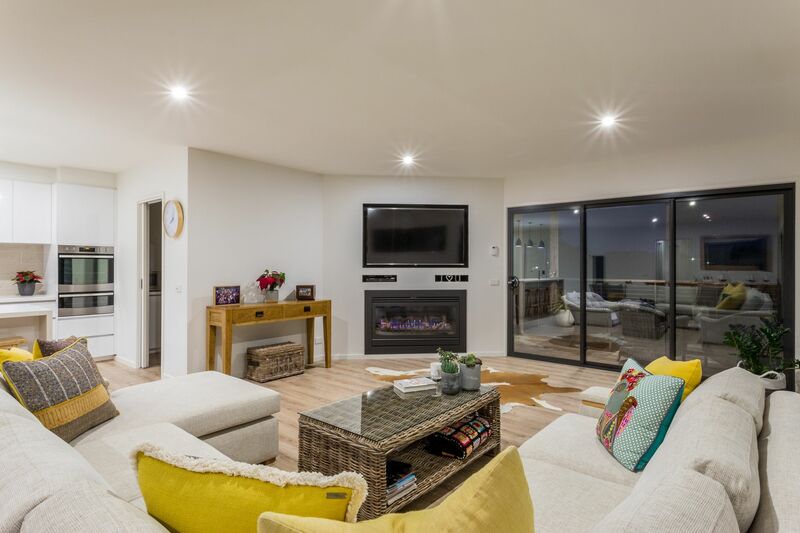 A second living area with study nook provides valuable additional space for the family. 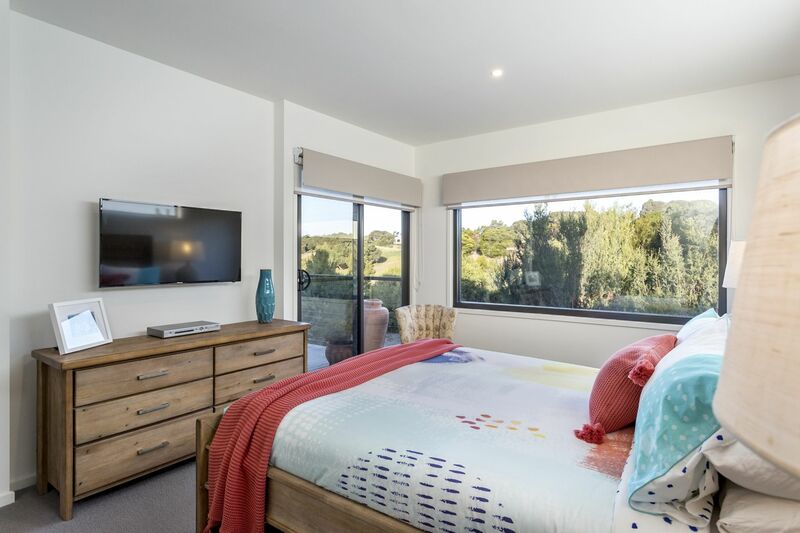 The three generous bedrooms all feature built-in robes, with the master bedroom enjoying a striking ensuite featuring floor-to-ceiling tiles and rain shower. 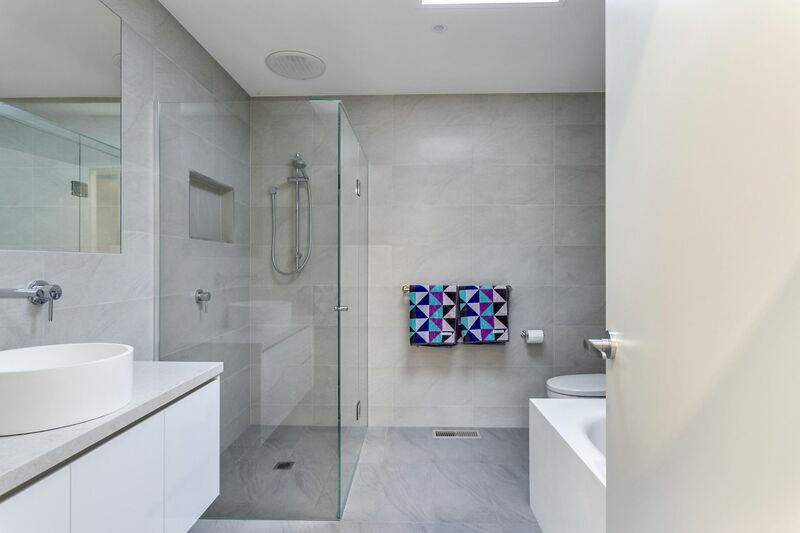 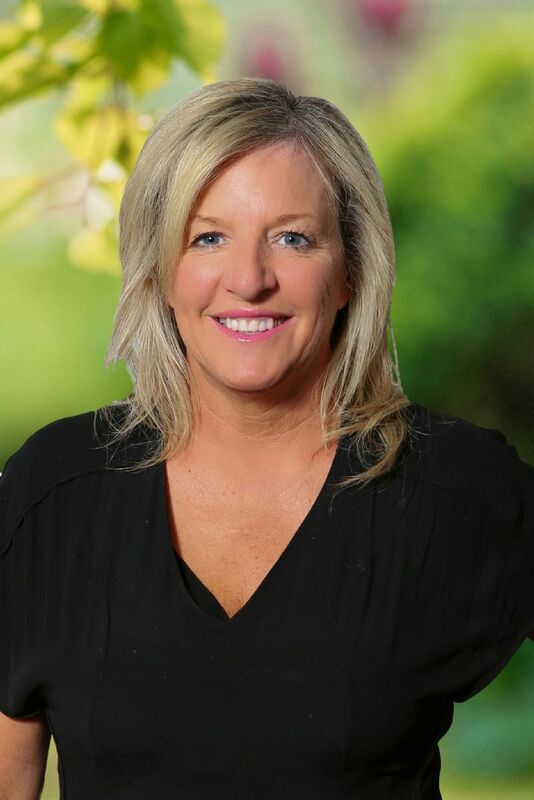 A corresponding family bathroom services the home. 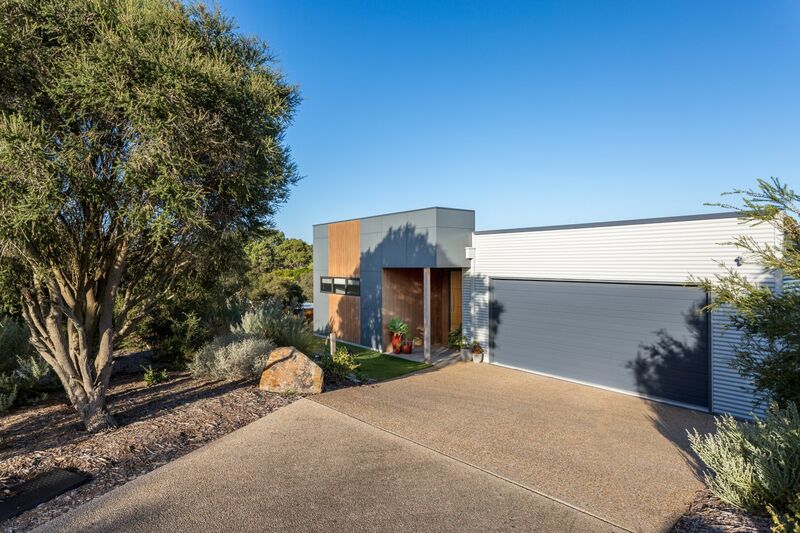 The large garage with direct access to the interior offers space for two cars plus the golf cart! 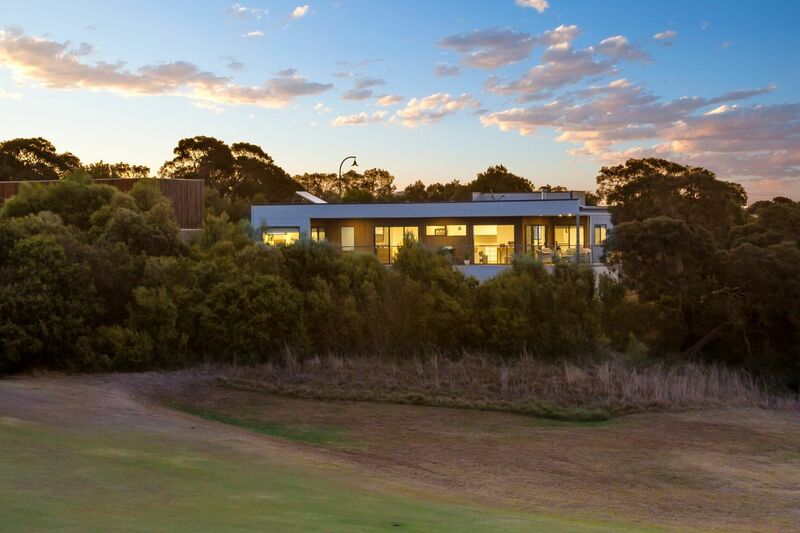 Moonah Links offers a unique environment from which to enjoy the exceptional Mornington Peninsula lifestyle. 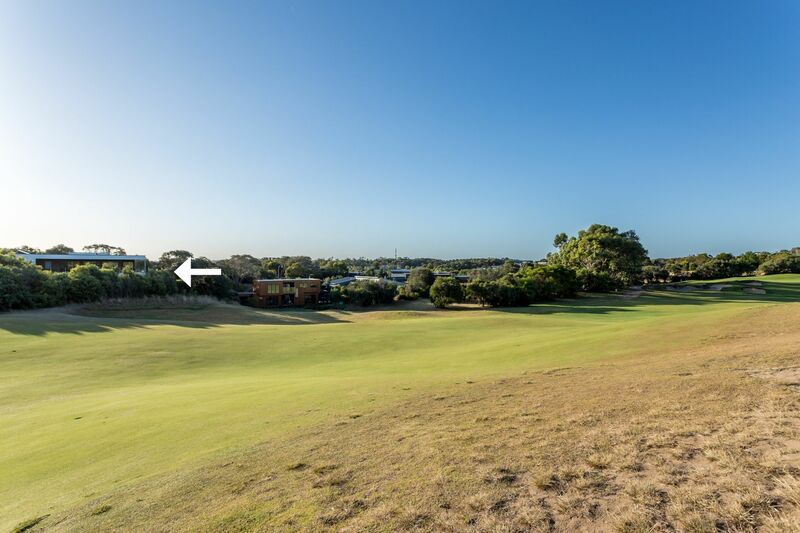 Secure a place right here, right now and tee off the next phase of your life!